Italy, lakes and Vermouth. Selling art with an attitude. 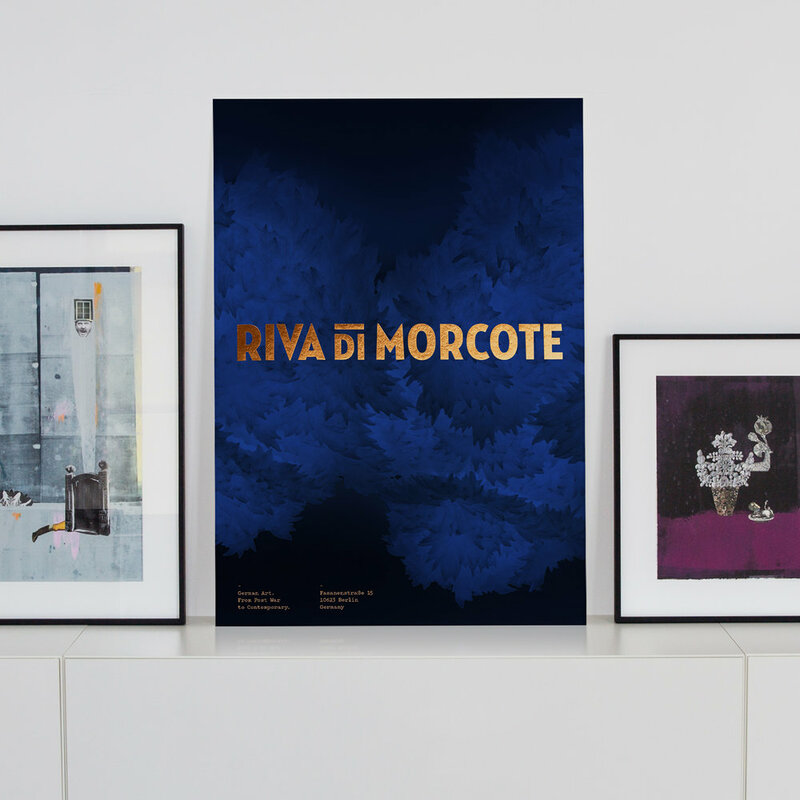 Riva Di Morcote is a young and highly successful arts dealer based in Lugano and Berlin, trading works by high-profile artists such as Gerhard Richter, Sigmar Polke and Andreas Odermatt. The brand design draws its inspiration from the timeless elegance of classic Italian Vermouth labels and the blue colour of the pristine mountain lake Lago di Lugano, home of the brand. 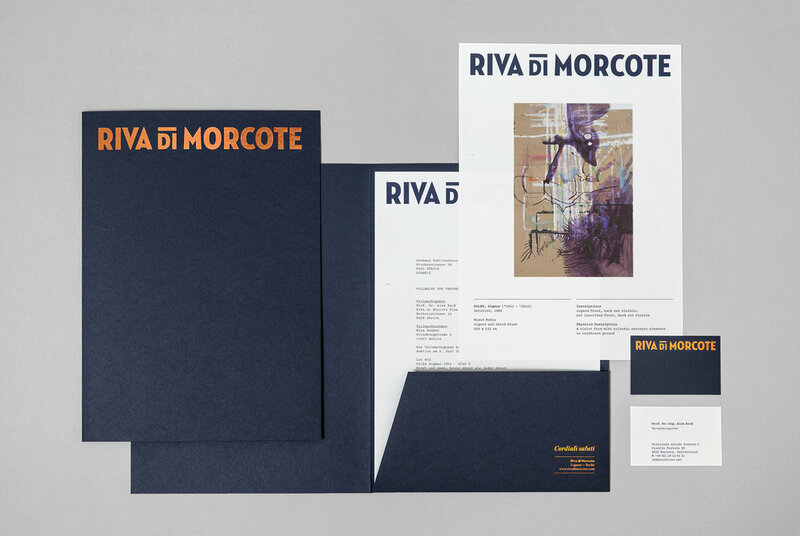 The contemporary premium brand comes to life with copper metallic foil and luxury stocks. A classic post card from 1904 showing the town of Morcote adds a vintage twist and acts as key visual. The bold appearance makes a confident statement in a usually understated market and reflects Riva's big ambitions.